Apparently -- and why not, after all? -- the FBI has been given instructions that severely shorten their leash in the Brett Kavanaugh investigation. They're not even questioning Blasey Ford. White House counsel Donald McGahn, who sat directly behind Kavanaugh at all his hearings before the Judiciary Committee, also apparently has his back through this additional investigation, limiting the people the FBI may talk to --"Kavanaugh, his first two accusers, and people who have been identified as present for the incidents." 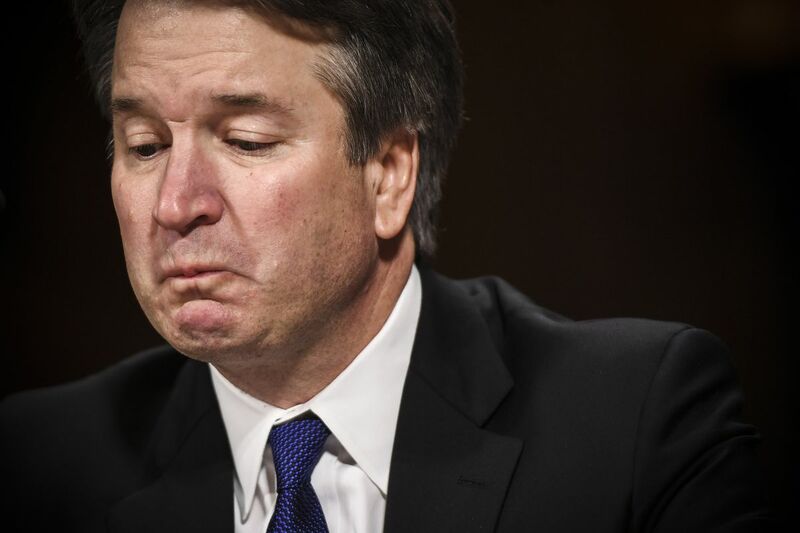 So Kavanaugh's Yale classmate and drinking buddy, Chad Ludington, for example, who has said he has plenty of evidence of Brett's abuse of alcohol and who also said he'd be turning in his evidence to the FBI office in Raleigh this morning -- he can save his shoe leather, because McGahn has ordered the FBI to ignore everything that isn't in the narrow scope outlined above. Are we seeing a whitewash underway? In the meantime, and while you're waiting to see holy water sprinkled all over fratboy, you might want to Google "dry drunk syndrome" for some insight into the behavior we all saw last Thursday.